So we are all familiar With the traditional spot to place a pretty brooch, just below the shoulder. Whilst this is a pretty and elegant look especially if attending a wedding there are many other ways you can accessorise with a pretty brooch. Take a browse through our 7 creative ways to accessorise a brooch. Go big and bold whilst hitting the town or beach this summer is this seasons hottest trend the Floppy Style Beach Hat! 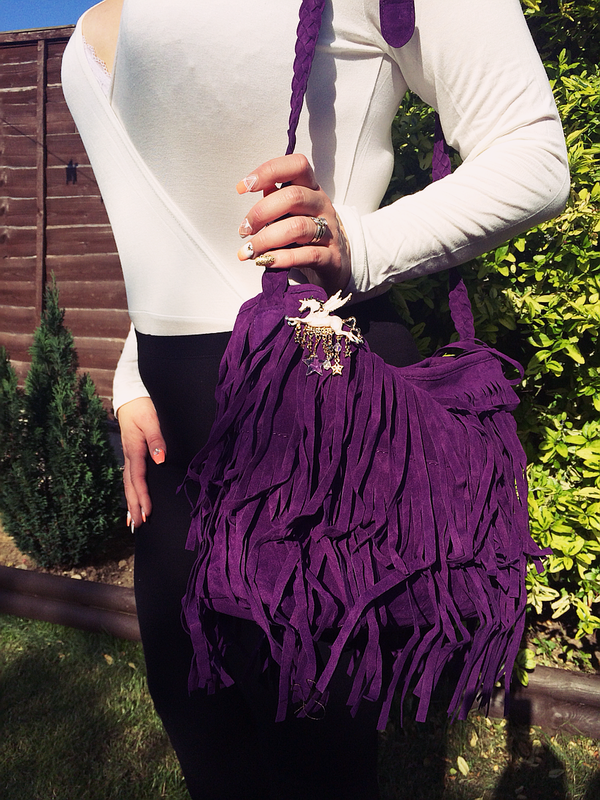 Accessorised with a sweet pin brooch makes this bag go from blah to bling instantly adding a touch of Marbella Glamour. Easy to apply and to fix in to position, the pin slides in and fastens easy and is comfortable and can not be felt irrating your head at all. 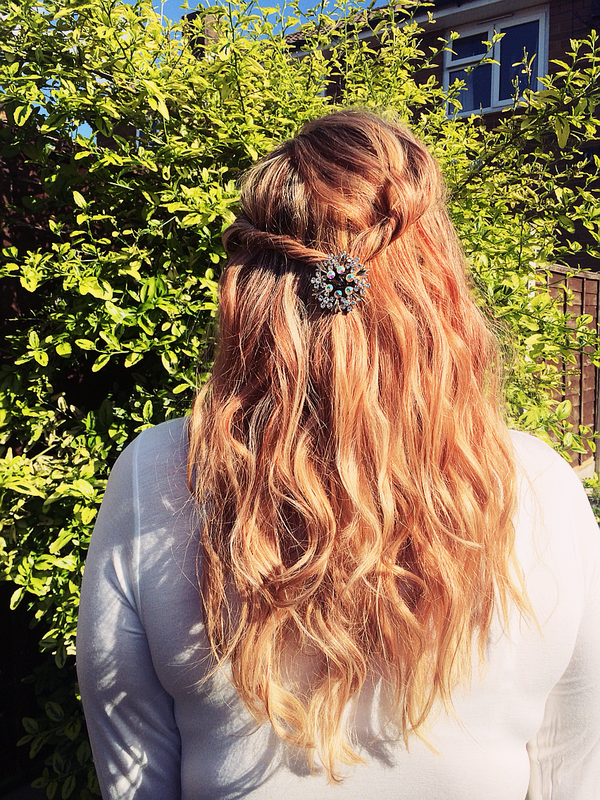 Finding a pretty hair slide or bobble can be hard at times especially for events such as ascot and weddings when you just long for something a little extra special. 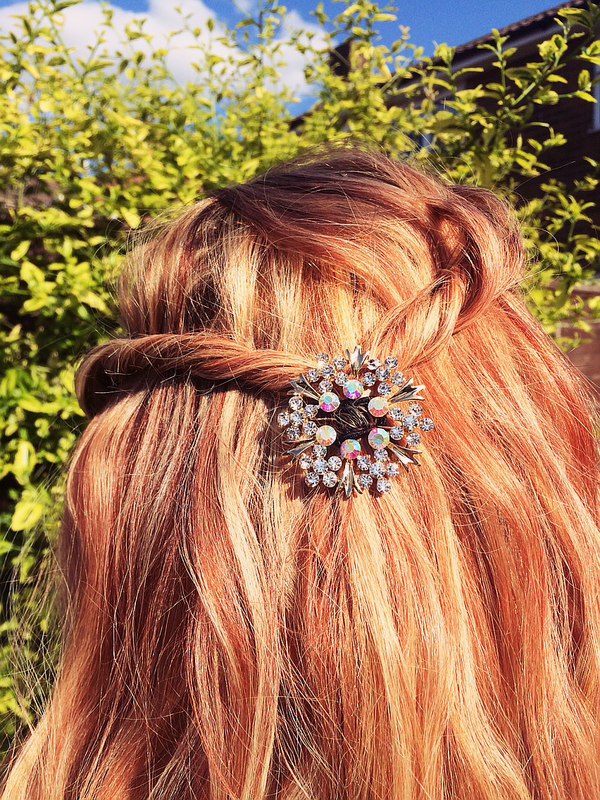 Add a sparkly brooch to your summer twists or braid your locks and complete the look with a sparkly brooch to complete your festival glamour look. Simple to apply, braid or twist your hair. Use a slim hair bobble to hold in place then simply thread through your brooch. 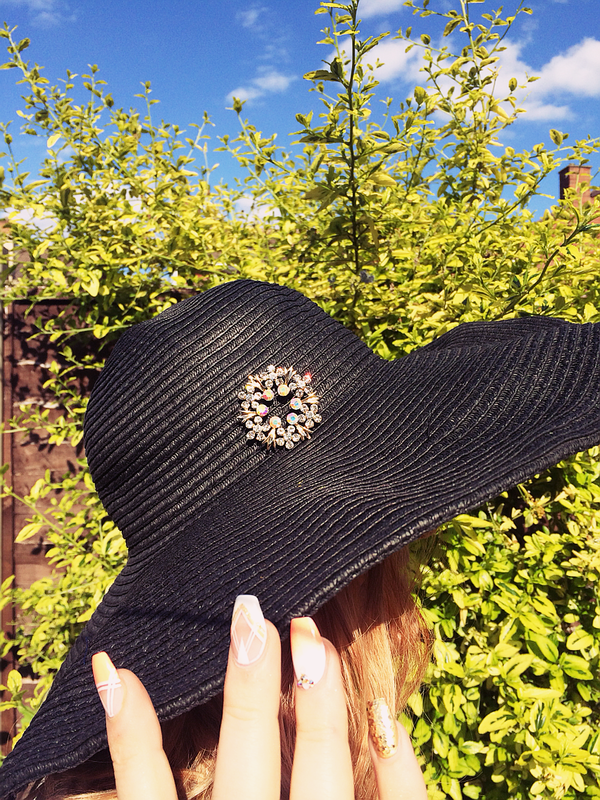 We used the Mila rhinestone brooch available for £3.50 which was easy to apply and kept it’s place very well All day without budging or spinning around. Don’t want to be walking around with the same bag as everyone else? Add your own unique touch with a quirky brooch of your choice. Why pay high end for rhinestone embellished bag when you can jazz up your existing handbags with a quirky brooch to add your own unique style! A large statement brooch is the best to add to a bag, ideally with a long pin so it’s easy to thread through thick fabric. 4 – Boring Purse? Not anymore! 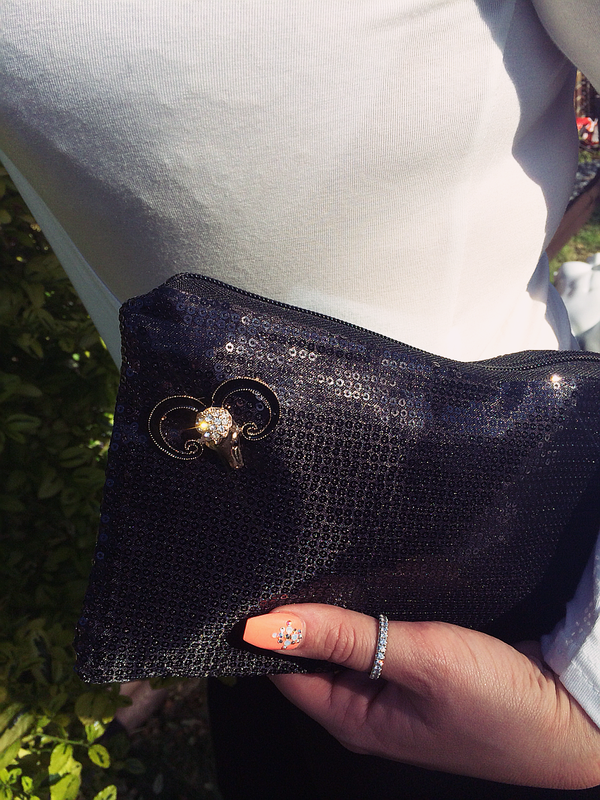 Don’t settle for a plain boring purse jazz it up with a brooch to suit your style! 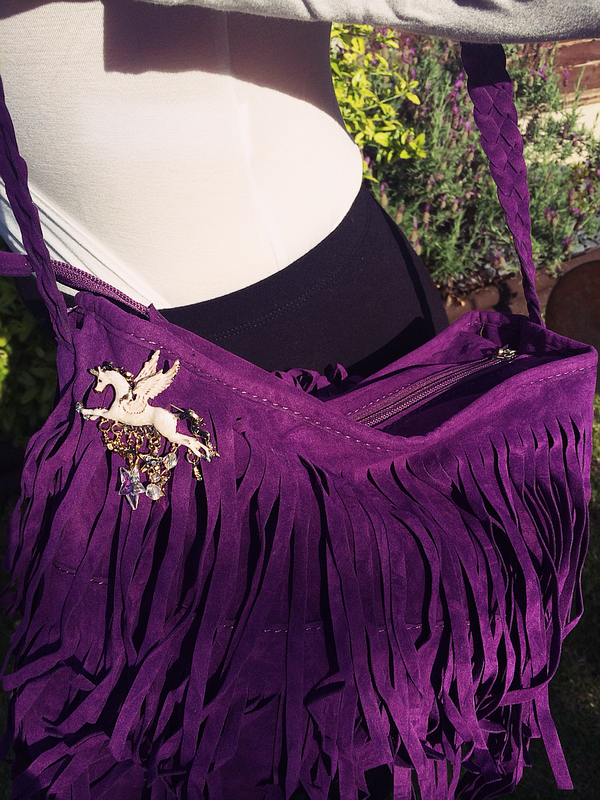 A different color purse for everyday with a different look. 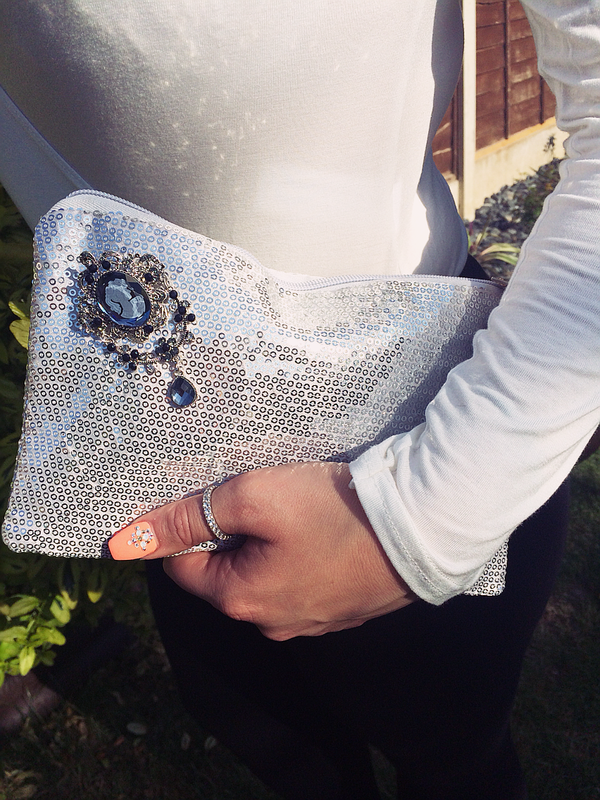 We added an ornate cameo charm brooch to this silver clutch for a gothic look. Hitting the town? 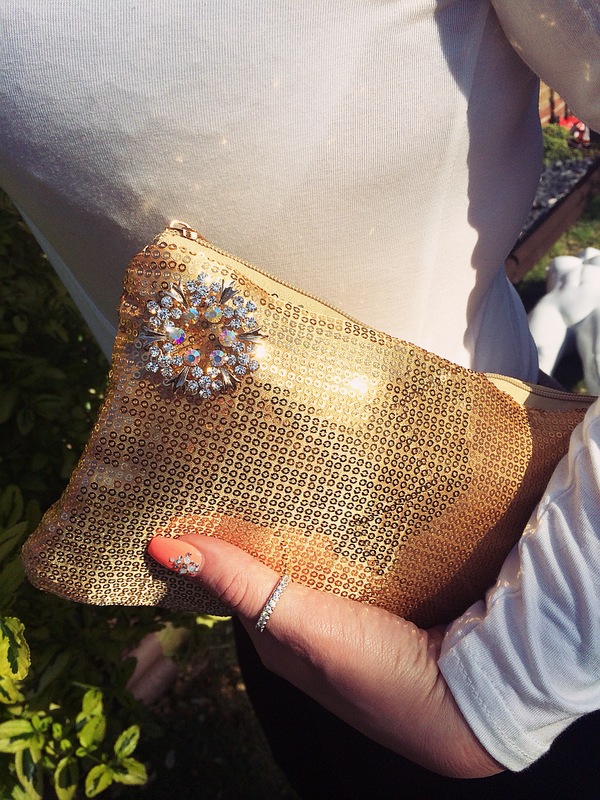 We added the easy to accessorise Mila brooch to this golden sequin clutch. 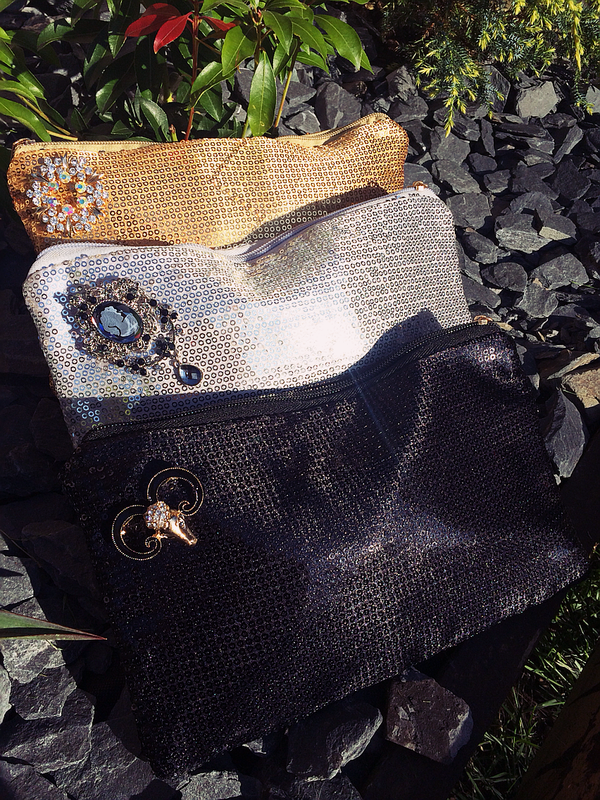 I don’t like to be ordinary so I’ve added this quirky Bertha Brooch to this sequin clutch purse. 5- Bored of wearing scarfs in the same old way? 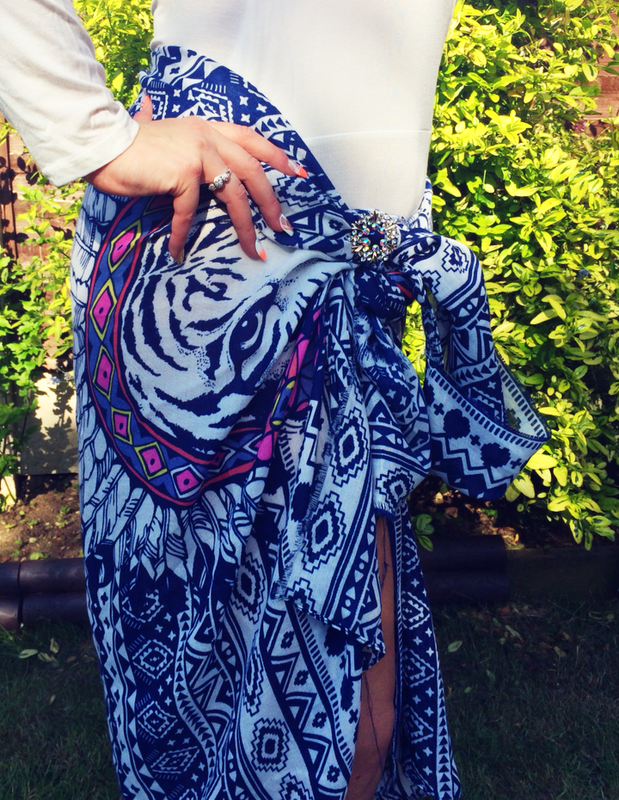 I have a collection of luxury scarfs long thick cotton scarfs, with pretty printed patterns! Whilst I love wrapping around a good scarf especially in spring on a summer night I want something a bit more. 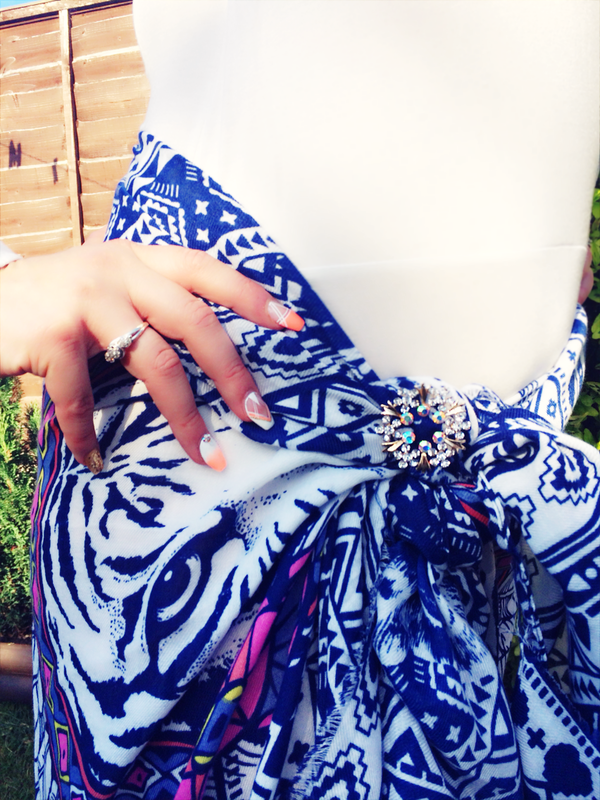 I’ve changed thinks up this summer and started styling a luxury long scarf in to a summer cape! 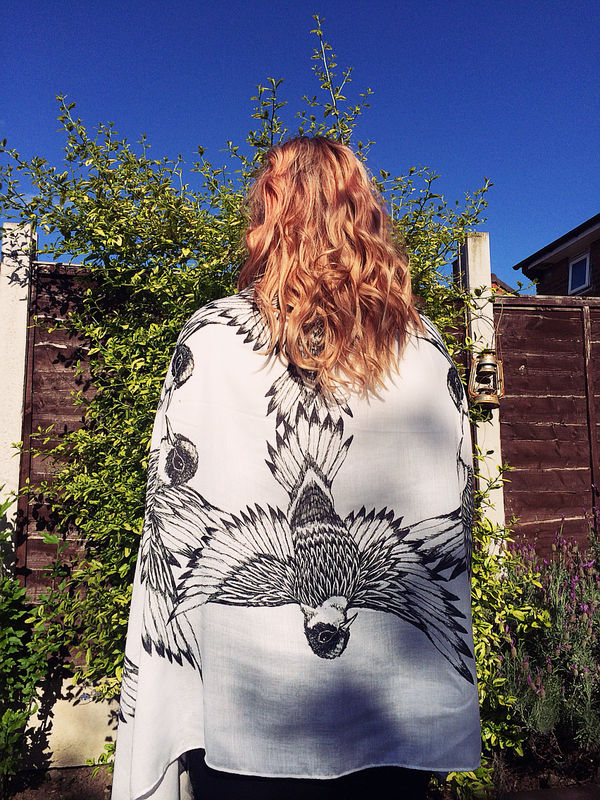 I particularly love this swallow print scarf! On a summer evening when to sun has set I’ll wrap this beauty and wear it as oversized poncho cape! Too hold it in place?? You’ve guessed it! Perfectly pin together with my Mila Brooch so I can continue enjoying my summer night relaxing and have girly catch ups without having to hold my cape in to place. 6- Sassy around the pool? Hitting Ibiza or Ayia Napa this year? Looking for them perfect finishing touches around the pool to make your bikini pop? Many high street stores are now doing stunning heavily embellished bikinis, however most of them carry a hefty price tag too! I purchased this summery pretty ombre pink / coral bikini top from matalan purely because I loved the color but it was a bit blah! I ruched it together at the front tied around some clear cotton and added this pretty brooch to take it from blah to bling instantly! You could also add a brooch to your bikini bottoms resting it just on the hip bone. So this is a little follow on to number 6, it’s all about attention to detail. If you have ever visted Cherry Diva you know we sell loads of luxury scarfs which can also be worn in many ways such as ponchos, capes and sarongs too name a few. Knot up your sarong and pin in your brooch and your ready for some pool side glam. So that’s it lovelys! You can put a brooch to use in many different ways! Spice up your wardrobe and accessories now! My favourite use is definitely blinging up a bikini. Let me know yours or even some ways you put your brooches to use.